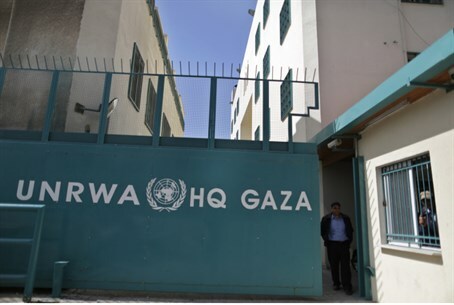 UNRWA blasts Israel for shelling one of its schools in Gaza. IDF says initial investigation shows rockets were fired from the school. Israel on Wednesday was blamed and condemned for the shelling of a UN school being used as a shelter in Gaza, even as the IDF said it was looking into the incident. In a statement, the commissioner of the United Nations Relief and Works Agency (UNRWA), whose school in Jabalia was hit, condemned the “Israeli shelling” of the school. “We have visited the site and gathered evidence. We have analyzed fragments, examined craters and other damage. Our initial assessment is that it was Israeli artillery that hit our school, in which 3,300 people had sought refuge,” said the statement by Pierre Krahenbuhl. “The precise location of the Jabalia Elementary Girls School and the fact that it was housing thousands of internally displaced people was communicated to the Israeli army seventeen times, to ensure its protection; the last being at ten to nine last night, just hours before the fatal shelling,” he added. “I condemn in the strongest possible terms this serious violation of international law by Israeli forces,” said the statement. “We have moved beyond the realm of humanitarian action alone. We are in the realm of accountability. I call on the international community to take deliberate international political action to put an immediate end to the continuing carnage,” said Krahenbuhl. The White House also condemned the shelling of the school. "The United States condemns the shelling of a UNRWA school in Gaza, which reportedly killed and injured innocent Palestinians, including children, and UN humanitarian workers," National Security Council spokeswoman Bernadette Meehan was quoted by AFP as having said. UN Secretary General Ban Ki-moon called the strike "unjustifiable." "This morning a UN school sheltering thousands of Palestinian families suffered a reprehensible attack," he was quoted by AFP as having said on a visit to Costa Rica. "It is unjustifiable, and demands accountability and justice." France also condemned the shelling, calling for an immediate ceasefire. President Francois Hollande "joins the UN secretary general in considering the act 'unjustifiable'," the president's office said in a statement. Paris "demands the establishment of an immediate ceasefire," the statement said, adding that "all efforts must converge on this goal." The IDF, meanwhile, told The Guardian it was investigating the incident at the UN school. A UN source said there was no evidence of terrorist activity inside the school. The IDF has previously provided video evidence that Hamas fires rockets from inside schools. Hamas has also been using UNRWA schools as storage sites for its rockets. For the third time in recent days, such a stockpile was discovered in a UN school Tuesday.